NEW BABIES ARRIVING SOON. 21 BOER & percentage kids on the ground. Reds, Spotted, Paints, Traditional. What's your pleasure? Get your reservation in early, they do NOT stay long. 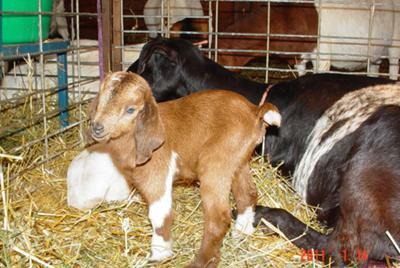 Also have 2 dairy/boer bucklings. Blond and white, charcoal and white. 2 cute for words. Fun and Funny babies. Parents have excellent personalities. No aggression issues.